Connected to battery terminals, this unit stabilizes power output to all electrical components drawing power from battery. 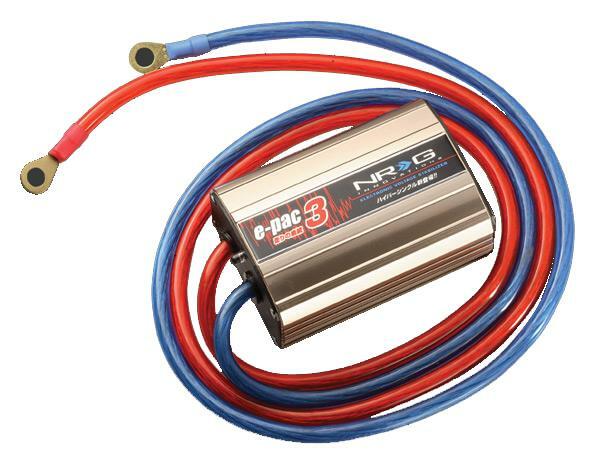 Using an independent power source, the NRG Voltage Stabilizer boosts battery power when under high loads, thus regulating fluctuations coming from the battery that can result in loss of power or responsiveness from ignition system components. The NRG Voltage Stabilizer can also improve interior lighting as well as stereo equipment performance.